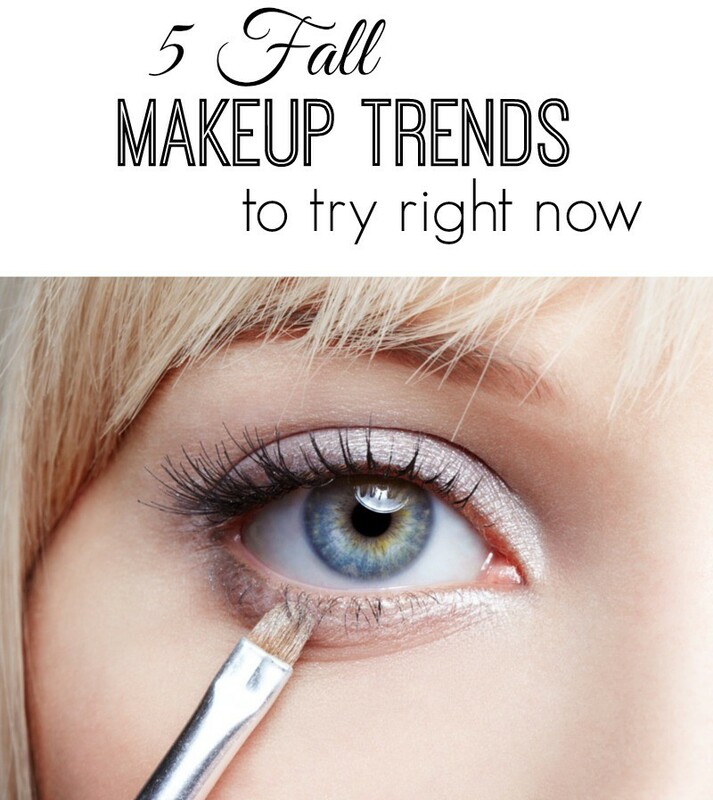 Are your curious what fall makeup trends are popping up and if you can really try them yourself? Fashion and makeup trends are usually set by what we see on the runways. But sometimes that runway fashion and makeup is off the charts crazy and we can’t even imagine that same look on ourselves. The fun thing about runway shows is pulling out the trends and making them work for YOU. And that’s what I’m going to show right now. 1. Lots of Lower Lashes – We can tend to forget about our lower lashes and focus on the top ones. But a big trend for the fall is loading those lower lashes up. Not the clumpy loading up, but evenly spacing them apart and focusing a little more time on them than you’re used to. How do you do that? It’s all about the wand. Look for a mascara that has a skinnier wand such as Le Volume de Chanel. If you’re worried about raccoon eyes, use a waterproof mascara on the bottom lashes to keep it from smudging. 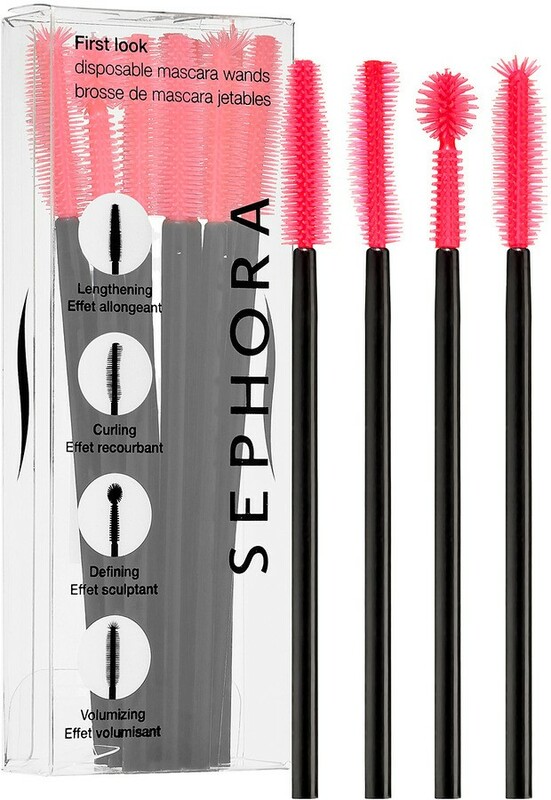 Sephora has released a set of 12 disposable mascara wands that are perfect for those bottom lashes. 2. Metallic Eyes – This is a trend I’m excited about because I love lightly applying metallic eye shadows and liners. If you want an understated look but you still want to try a metallic, dab a little in the corner of each eye. It will help you look more awake and your eyes will pop. 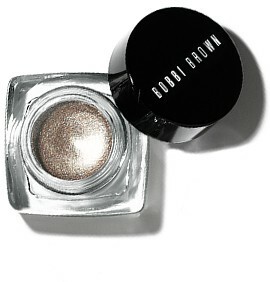 Bobbi Brown has a fabulous metallic eye shadow with a little sparkle. You can blend it on your lids for a sheer/metallic effect or add a second layer for a more dramatic look. You can also swipe it on over your matte eye shadow to give it a bit of glam. 3. Berry Lips – A dark berry lip is a huge trend in makeup for the fall. Does the dark shade scare you a little? No worries. You can still pull it off subtly! Burt’s Bees has a great tinted lip balm shade called Red Dahlia. It’s dark, but not too dark. As an added bonus, it’s good for your lips! You can also try a darker lip stain or gloss, or if you’re going out and you want to go for it, try M·A·C’s Velvet Berry lipstick. 4. Pops of color – Do you find yourself wearing the same understated shades of eye shadow and liner over and over again? How about switching things up and adding a pop of color such as a green or a blue. You can subtly add a pop of color by lining your lower lid with a color eye liner pencil. Or even dust on a little eye shadow along the lower lid. You’ll never know if you like it until you try it right? 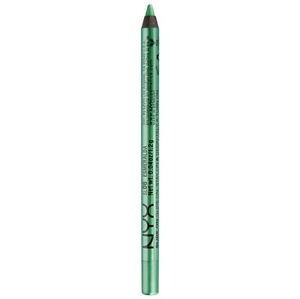 I love to add a touch of emerald to my eye using my NYX Slide On Eye Liner in Esmeralda. 5. Big Bold Brows – No more over tweezing and plucking ladies. The bold eyebrow is in! Great brows are important when it comes to your complete look. Your eyebrows frame your eyes and can give you an elegant and polished look if done right. If you have naturally thin eye brows, fill them in with a brow pencil. There you have it: 5 Fall Makeup Trend you can try right now. Which one(s) will you try? You’re welcome Rachel! Thank you for stopping by.